Hanshang Hualian's storefront in a downtown mall in Guangzhou. As one searches on Baidu or Taobao with the word “hanfu”, it is easy to see that often results come mixed with poor-quality specimens, or even Qipao and Magua instead. It is also common to see many phony stores and online retailers using the images of other retailers and sending out poorly made “pirated” simulacra. In turn, this also extends to the English online retailers, with choice for quality Hanfu ending up quite limited. In response to the difficulty of finding where to buy, Baidu Hanfu Bar (and its commercial branch dedicated for shops to list their goods, the Baidu Hanfu-Shangjia Bar) have compiled a list of “approved” makers, directing newcomers to purchase from these stores, or at least use their products as a standard guideline to benchmark authenticity and quality. This means that as the business recognizes the mandates of Hanism and should promote Chinese tradition from the perspective of a Han culture – as a concrete example, Mongol and Manchu culture (esp. during Yuan/Qing period) should be kept separate and distinct identities. As an extension from mandate number 1, this is to ensure Hanfu retailers are promoting Hanfu as exclusively the traditional dress of the Han Chinese. Marketing Hanfu the object will undoubtedly raise questions as to why people should/will wear the clothes, and the businesses have similar responsibilities as other proponents of Hanfu to educate their customers with proper background knowledge regarding the subject. This is essentially a mandate for guaranteeing product quality, and ensuring customer satisfaction. The mandate also calls for businesses to be honest and ethical in their practices. Furthering upon ethical business practices (and based on past experiences with customer/business interaction), competition among businesses should strive to help mutually grow this market, rather than defaming a competitor for the sake of personal profit. While there is no charter or similar statement on Baidu, the requirements of approval are roughly the same. As of 2011, the list as provided on Hanwang is different from the list from Baidu (although many reputed businesses can be found on both), with the main distinctions of the list being Hanwang as primarily a physical business location registry, while the Baidu list focuses on the location of storefronts, online or physical. For those who are searching for online catalogues of Hanfu shops to buy from, the latter list is undoubtedly more useful. Here is the list for the clothing ateliers. For a list of accessories makers, please scroll down past this list. Note: The first brick-and-mortar authentic Hanfu shop in China. Address: Jinma Xiang, Wenshu Fang Street, Chengdu, Sichuan Prov. Tongguan Hanfu Atelier (瞳莞汉服工作室), Meishan District, Chengdu, Sichuan Prov. Note: Shapes are relatively more authentic and well-researched. Address: Unit 2-1, Shui’an Yaju Ward, 1 Yangzishan Road, Jinniu District, Chengdu, Sichuan. Xianni Xiaozhu (衔泥小筑)，Mianyang, Sichuan Prov. Note: No actual location. Relatively good handiwork, more choices for men’s designs, and not bad “modernized” styles too. Canye (read Tsanye) Ge Hanfu Atelier (残夜阁汉服工作室), Wuhan, Hubei. Note: Does not have any brick-and-mortar locations. Note: Primarily deals in real silk material clothing. Also features in supplying high-toed shoes worn with long skirts, as well as guqins. Cunxiang Caoshe Hanfu Atelier (《寸香草舍》汉服工作室), Beijing. Notes: Relatively low pricing, also features modified “Han elements fashion”. Shiyangjin Hanfu Atelier (十样锦汉服工作室), Shenyang, Liaoning Prov. Notes: Sales by individual commissions, takes custom fabric orders from the Northeastern provinces. Mingyue Chu (明月初), Zuzhuang, Shandong Prov. Notes: Simple designs, accepts custom orders from customers’ fabric. Focuses on lower-priced range. Zhaoci Guan (朝辞馆), Tanfang, Shandong Prov. Notes: Unique design tastes suited for young ladies, fairly priced. Also does Japanese Yukata and Western dresses. Minghua Tang (明华堂), Hong Kong. Note: Dedicated to Ming-era Hanfu research and restoration, meticulous in material selection, handiwork and research. This is reflected in their higher pricing. Shuang Yu’ou (双玉瓯), Guangzhou, Guangdong Prov. Note: Brick-and-mortar shop (first in Guangzhou). Higher-end pricing. Has a sub-brand called Qingni (青霓) targeted towards a younger market at a lower price, located http://shop57522753.taobao.com/. Qianyun Guan (纤云馆), Guangzhou, Guandong Prov. Hanshang Hualian (汉尚华莲), Guangzhou, Guangdong Prov. Notes: Brick-and-mortar shop. Has agent selling in Hong Kong. Address: Shop 217, Guangming Mall, Beijing Road, Yuexiu District, Guangzhou, Guangdong Prov. Cai Huashang (采華裳). Hong Kong. Notes: Sandy Soon’s brick-and-mortar boutique and atelier in the middle of Hong Kong’s gentrified art community. Guyue Jinren (古月今人), Shenzhen, Guangdong Prov. Shenzhen Yimeiwu Hanminzu Fushi (深圳衣袂舞汉民族服饰), Shenzhen, Guangdong Prov. Liuru Ju (六如居), Shaoqing, Guangdong Prov. Notes: Mostly takes custom commissions and products are mostly made in real silk. Not many specimens displays in store. Hanyin Chuantong Fushi Guan (寒音傳統服飾館, aka Hanyin Guan 寒音館), Hangzhou, Zhejiang Prov. Note: Brick-and-mortar shop. Relatively meticulous in its shapes and standards. Caibao’er Hanfu (彩宝儿汉服), Hangzhou, Zhejiang Prov. Notes: Brick and mortar shop. Prices tend to be higher due to using real silk. Pieces are often auctioned in Taobao, but also includes commissioning and ready-to-wear lines. Primary service as wedding planners. Address: Bldg. 14, Jiangshan Nong, Dengxin Xiang Shequ (Near Wulin Lu), Hangzhou, Zhejiang Prov. Hange Nishang (汉格霓裳), Hangzhou, Zhejiang Prov. Notes: Well-made Han elements fashion, with many articles featuring bulk order discounts. Accepts fabric commissions. Zhuli Guan (竹里馆), Hangzhou, Zhejiang Prov. Notes: Simple and elegant designs, plainer colours, well-priced, accepts incoming fabric commisions. Qinghui Ge (清辉阁), Nanjing, Jiangsu Prov. Note: Separated from Yuedao Fenglai Ge. Its style is suited for young ladies with its brisk grace, or with a dash of fabulous glamour. Pays more attention to authenticity of design than its counterpart below. Yuedao Fenglai Ge (月到风来阁), Nanjing, Jiangsu Prov. Note: Refers to the current shop after its division (see above), somewhat similar in style as above. Yuzi Tongshang Hanfu Atelier (与子同裳汉服工坊), Nanjing, Jiangsu Prov. Note: Brick-and-Mortar shop in the historical Xici Hutong district. Notes: Includes bulk-order priced Zhongdan (inner full-length robe). Features in ritual wear. Notes: Daring style and constantly reinventing itself. Also sells tea and herbal packs. Lanyexin (兰夜心), Wuxi, Jiangsu Prov. Notes: Well-priced and well-made. Features in hand-painted acrylics. Accepts fabric commissions. Qinian Huashang (绮年华裳), Fuzhou, Fujian Prov. Notes: Formerly known as Nishang Ge (霓裳阁). Excels in hand-painted goods, lively style, and sometimes have discounts. Gancaoji zhi Hanyi Gui (甘草记之汉衣柜), Fuzhou, Fujian Prov. Xiuchun Fang (绣春坊), Fuzhou, Fujian Prov. Notes: Well made dresses, especially the replica of the Tang Sancai doll clothing: The U-shaped collar Banbi Gaoyao Ruqun. Jia’nan Hanfu Atelier (伽南漢服工作室), Fuzhou, Fujian Prov. Qianlong Hanfu Workshop (潜龙汉服工坊), Fuzhou, Fujian Prov. Notes: Reputed local shop for handiwork, has some discounted goods. Zhaolu zhi Cheng (朝露之城), Quanzhou, Fujian Prov. Notes: Refreshing use of colours. Fuxiu Chang’an (黼秀长安), Xi’an, Shaanxi Prov. Note: No actual location. Reputed for its Tang-era style designs. Relatively slow in production but famed for its quality. Hanfu Zhenyun Atelier (【汉服滇韵】工作室), Kunming, Yunnan Prov. 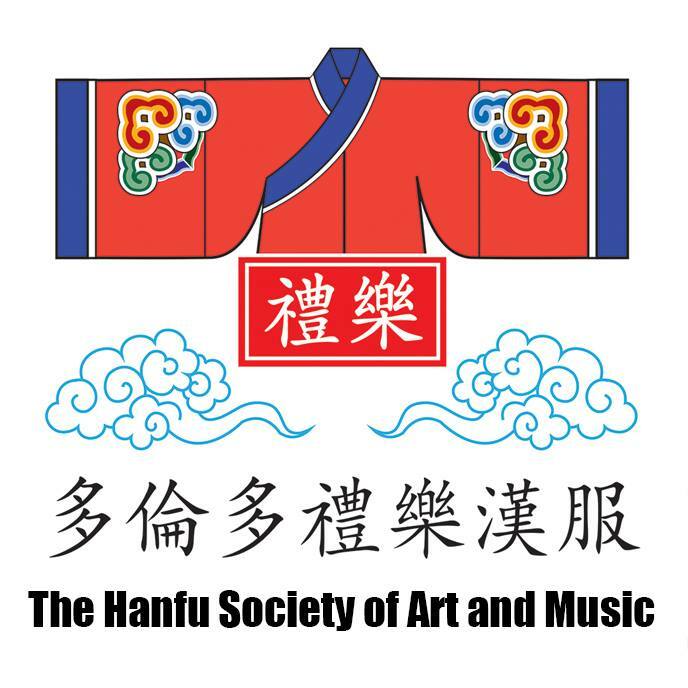 Note: The first Hanfu society and atelier for Hanfu in Yunnan Province. Notes: New shop. Mostly caters to student-pricing pieces. Notes: Owner’s QQ name: Gongsun Rongzhi (公孙容止). Also deals Hanfu related accessories. Jingchen Xian (静尘轩) , Hangzhou, Zhejiang Prov. Notes: Uses A-grade jade, agate, pearls and other natural materials. Provides discounts for fellow Hanfu supporter customers. Yuchuan (予川), Hangzhou, Zhejiang Prov. Notes: Accepts custom orders and commissions. Yunxian Ju (云仙居), Suzhou, Jiangsu Prov. Yuerong Gui: Pearl and Jade-studded Hairpins (悦容闺*明珠彩玉缀簪钗), Wujiang (Suzhou), Jiangsu Prov. Notes: Great jade pendents and accessories too. Huanmong Chenyuan (幻梦尘缘), Nanjing, Jiangsu Prov. Notes: Headdresses of both the simple and flamboyant. Well-priced. Shengshi Fanghua Hanfu Accessories (盛世芳华汉服配饰), Shanghai. Shuimo Jianghu (水墨江湖), Shenzhen, Guangdong Prov. Notes: Popular store. Check often for updates. Yunjian Fengyue (云笺封月), Shenzhen, Guangdong Prov. Dianzhi Huakai (点指花开), Shaoqing, Guangdong Prov. Notes: There are only 3 pieces of each design in store. Weishe (微舍), Foshan, Guangdong Prov. Huayu Gongfang (花语工房), Huizhou, Guangdong Prov. Lanmao de DIY Tiandi (懒猫的DIY天地), Liuzhou, Guangxi Prov. Notes: “Lazy-cat’s DIY World”, contains many DIY items by the owner, ranging from accessories to Banbi. Wen yihu Yueguang Xiajiu(温一壶月光下酒), Hengyang, Hunan Prov. Shuiyue Shougong (水月手工), Changsha, Hunan Prov. Tiangong Fang Handicrafts and Accessories (天工坊手工配饰), Nanchang, Jiangxi Prov. Yvse Chang’an (玉色长安), Xianning, Hubei Prov. Qianyun Xian (纤云轩), Chengdu, Sichuan Prov. Notes: Reasonably priced. Not to be confused with Qianyun Guan of Guangzhou. Jinlin Fang (锦琳坊), Chengdu, Sichuan Prov. Yige Hongzhuang (忆阁红妆), Yibin, Sichuan Prov. Baicao Shougongfang (百草手工坊), Kunming, Yunnan Prov. Notes: Broad range of selections. Lanting.Xu (蘭亭.叙), Kunming, Yunnan Prov. Bagua Lou (八卦楼), Xi’an, Shaanxi Prov. Notes: Most articles here are one-of-a-kind. Luoyi Ge (洛依阁), Zhengzhou, Henan Prov. Miujia Puzi (【喵家铺子】), Shangqiu, Henan Prov. Weiyang Ge (未央阁), Qingdao, Shandong Prov. Jinghua Yuan Handicrafted Hairpins (镜花缘手工簪钗), Shenyang, Liaoning Prov. Notes: Accepts commissions and custom-design projects. Not much in terms of Men’s Hanfu huh? ~ I wish there was more.. Know of any good sites particularly for men’s hanfu? They’re all good. I’m checking the list again and I can count on only one hand how many deal almost exclusively (80%+) women’s wear. I’d look more towards what style and quality you’re expecting for, first. The most recent order I made was at Tongguan Atelier, but now is not a good time to place an order — the owner of the shop is currently on leave because of her wedding! (http://tieba.baidu.com/f?kz=987950226, AMAZING outfits, simple but by-the-book ritual) If you are to order from them, I suggest at least mid to late February. Yuzi Tongshang and Jiuzhou Yiguan (both Shanghai/vicinity) I suppose are more famed for men’s fashion, because they pretty much lead the market for ritual formal wear. Guyue Jinren is also a good choice. Hi, i always wanted a han fu dress. Im chinese myself, but i live in europe. Do you also know online shops that ship worldwide? I found some on ebay, but i hoped to find some less expensive ones. Hope to hear from you soon. Yes which one of these stores are willing to ship worldwide and also willing to communicate in English. I know some friends who would love to buy one but can’t find any details because they don’t read chinese. I’ve seen some of the aforementioned stores’ products being resold on eBay at 7 to 8 times their original price (aka RMB prices in USD/CAD…), but not sure if the product is trustworthy because most likely it’s agent work. Most stores should be willing to communicate in English if you start inquiring by email, but it is highly unlikely these stores will open an English page to cater to the Anglophone market. Picture-shopping would have to do. It’s just above $100cnd to get the dress, shoes and all accessories for my daughter. Not bad at all. Because clothes are not very heavy, the shipping cost isn’t that much. Normally your final price will be almost twice of the original price. And you can use Paypal and other credit cards to pay. And you get to choose which online store and what product you want. I’ve used Panli for 5 transactions. It is quite good. Thank you for listing all these shops. Very good information. I’ve seen some of their work, very beautiful. Does anybody know if there are any affordable shops for students near Vancouver, BC, Canada? I know there is a large Chinese immigrant population here and I would be very interested in purchasing hanfu to raise awareness to Chinese culture and bring hanfu back into popularity. So I’ve been randomly clicking links up above, but there are almost none that have a translation in English for there shops. Now you see the problem with them dealers — and you’re clicking links for Taobao, with Chinese customers in mind. They don’t hold special English pages or anything. If you want them in English, you’ll have to buy through agents – and your choices are almost limited to the older, more established makers — and they tend to be NOT as good as the newer ones. 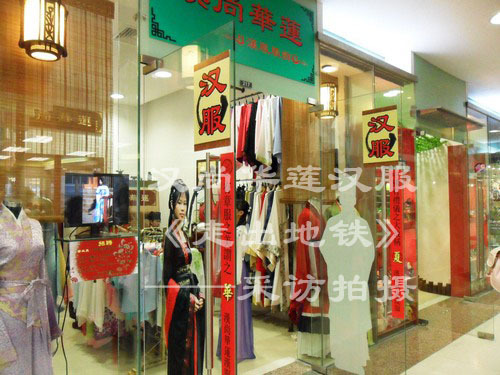 Hello, do you know if there are hanfu stores with physical store fronts in Yunnan? My Chinese is extremely limited so while Hanfu Zhenyun Atelier or Hanfu Dianyunba seems to still be active (?) I can’t find that out.